The Welsh coach is understood to be on the verge of quitting Old Trafford. RYAN GIGGS IS understood to be on the verge of ending his 29-year association with Man United, according to a number of British media outlets. The Daily Telegraph, The Daily Mirror and The Times are reporting that Giggs is set to reject a new role that the club have offered him as a link between the U21s and the first team. Consequently, with Mourinho expected to hire assistants Rui Faria and Silvino Louro as part of his backroom staff, there will be no room for the Man United legend, who was previously player-coach under David Moyes and assistant boss during Louis van Gaal’s reign. Having been overlooked for the manager’s job, Giggs — who joined Man United as a schoolboy in 1987 and made his first-team debut in 1991 — is understood to be keen on proving himself as a coach elsewhere. Giggs, who has one year left on his current deal with the club, made 963 appearances for United during a decorated playing career, winning numerous trophies during that time, including 13 Premier League titles, two Champions Leagues and four FA Cups. Email “Ryan Giggs set to end 29-year association with Man United - reports ”. 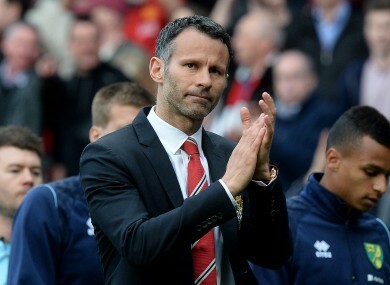 Feedback on “Ryan Giggs set to end 29-year association with Man United - reports ”.